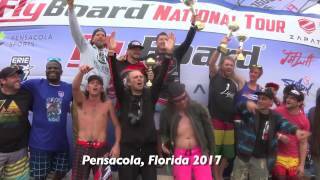 Pro Watercross Tour - the leading personal watercraft racing organizer in the United States includes hydroflight competition tour along with their annual PWC tour and competition series. This boost seems to make a year of 2017 the busiest year as far as number of competitions announced for hydroflight sports. NOTE: Competition positions are determined by randomly by a computer program.